Monaghan County Museum’s new exhibition, The Watchmen, tells the dramatic story of a place where the police, the criminals they sought and the eventual punishment that many of these desperate people received has been etched into the cultural memory of the county. The infamous Sam Gray of Ballybay, Mary Ann McConkey and her tragic path to the noose in Monaghan Gaol, the Black and Tans in the county, the First Commissioner of An Garda Síochána, Eoin O’Duffy from just outside Castleblayney and a murder in Clones that helped inspire an international bestseller and a major Hollywood movie. All of these remarkable stories and more are investigated in this incendiary new exhibition. It is well worth a visit. 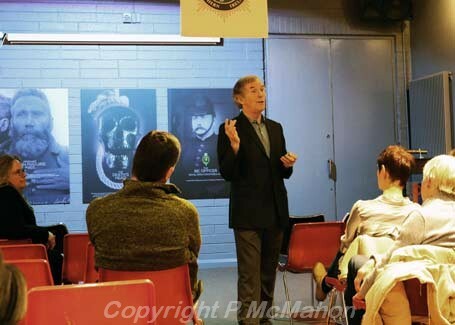 It was very appropriate that while this exhibition was on, John Lonergan, the former Governor of Mountjoy Prison was invited to the Museum on Thursday April 20th at 8pm to talk about 'How Prisons Support Policing in Ireland'. A relatively small crowd attended what was a terrific entertaining and informative talk by a man who has a wonderful insight and understanding of prisons, prisoners, and treatment of prisoners. He told us the story of the development of the prison system in Ireland, the reduction in the number of prisons and then the increase in prison numbers to meet the growing demand. We heard of conditions, the overcrowding, the different approaches to punishment for crime, and lots of relevant tales of happenings during his career in the prison service ending as Governor of MountJoy Prison. He captivated the audience with his anecdotes and descriptive tales of the life of a prisoner and the environment of a prison. 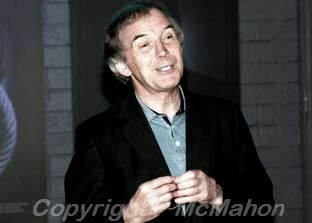 It was a terrific night and a pleasure to listen to John Lonergan. 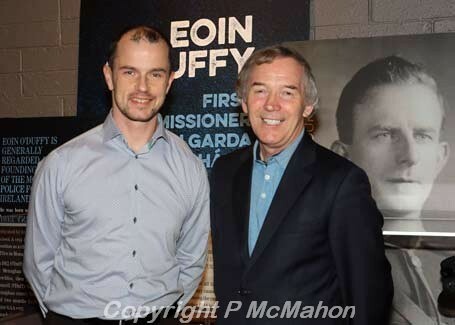 Well done to Liam Bradley and Museum staff on the excellent exhibition and on arranging the visit by John Lonergan. The next event which is also appropriate to the present exhibition is a talk on the life of Eoin O'Duffy. “The people must be saved': The rise and fall of Garda Commissioner Eoin O'Duffy” by Prof Fearghal McGarry on Thursday 4th May at 8pm. This illustrated talk will explore the controversial career of the Irish Free State's first Garda Commissioner, Eoin O’Duffy, one of Monaghan’s most famous historical figures. This promises to be another marvellous night for all interested in Monaghan history and its outstanding figures in Irish History.